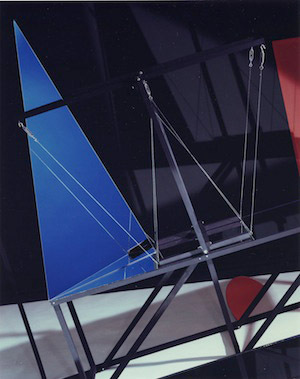 Barbara Kasten unveils her collection of photographic prints from the 1980’s to the 2000’s in her “Behind the Curtain” exhibit at the Jessica Silverman Gallery. The display opens December 14 through February 2, 2013. Polaroid’s and restrained archival pigment prints will be shown alongside a new video installation titled, “Glass Curtain.” The screen works by projecting light and shadows onto mirrors across the gallery. Kasten has been constructing exhibits since early 1970 with her geometric abstraction installation. 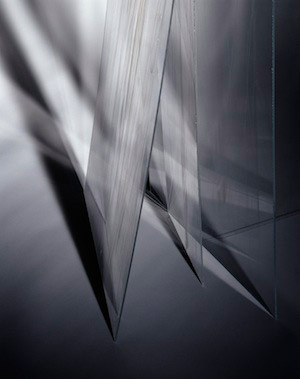 Made out of materials such as glass, mirror, sheet metal, plastic and paper, Kasten created sculptures with her photographs. Using light she was able to blur between dimensions, paying homage to the paintings of her muse, Russian constructivists Kazimir Malevich. Kasten’s work is in collections at the NY MoMA, LACMA, MCA Chicago and the J. Paul Getty Museum. She has been exhibited at the Art Institute of Chicago, SF MoMA, the International Center of Photography at New York, and the Kunstverein Nürnberg, amongst many other institutions. In 2011, Kasten’s work was exhibited in Los Angeles as part of Pacific Standard Time. INTERVIEW WITH ACTOR JOSEPH SIKORA - STARRING OPPOSITE TOM CRUISE IN "JACK REACHER"